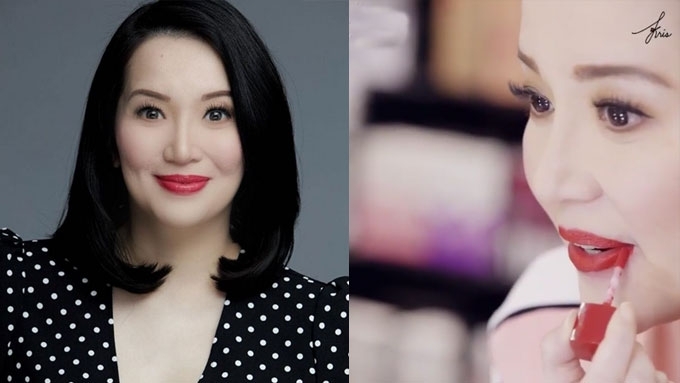 Kris Aquino on why lipstick is an important part of your wardrobe: "It's a statement right away... automatic glamor points." But it is lipstick that makes our day bright and beautiful. The pop of color on the lips is an instant confidence booster. She tells the press at her contract-signing with Ever Bilena, “Regarding lipstick, I love pink. “I insisted on pink. Meron kaming pink dun sa palette na dala ko talaga. "Ito po yung gusto ko,” she says, pointing to a liquid lippie that costs PHP185.00. The mother of two goes on to relate a “cute kuwento” about getting a "forever" tip from Eugene Domingo. “Bumibili daw siya box by box. Naisip ko nga na, kasi in her feed, she’s happily in love. And that's how the story between Kris and the cosmetic brand began in her quest for forever. So, if you're feeling low or going solo this Valentine's Day, perk up. Go pink or red. Here are tips from Kris on buying lipsticks. 1. A good lipstick stays fresh and moist for hours. 2. It doesn’t have to be expensive. Kris, before she came to her senses: “It blew my mind that nandun siya sa price point na PHP159, PHP169." 3. It’s okay to mix two kinds of lipsticks.